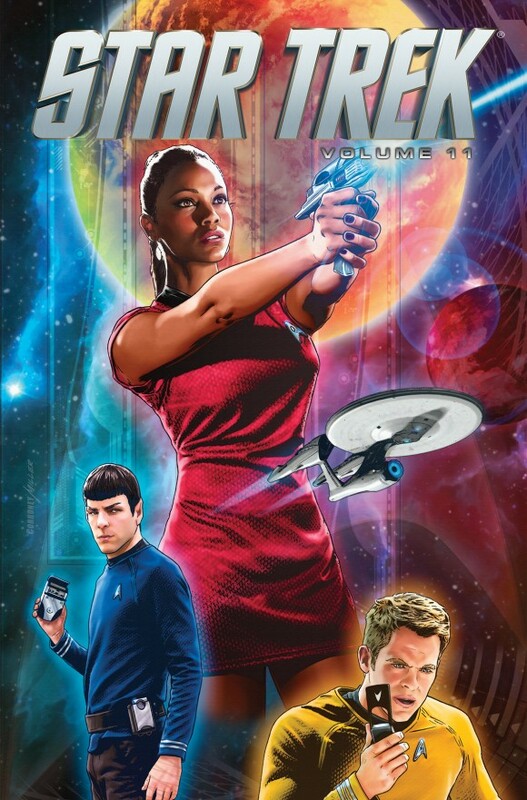 Star Trek ongoing Vol. 11 TPB, IDW Publishing. Not only does this have some great Movieverse Trek stories from Mike Johnson, Rachael Stott and Tony Shasteen, it also has my own all-Trek-doctors team-up tale “Flesh and Stone“! 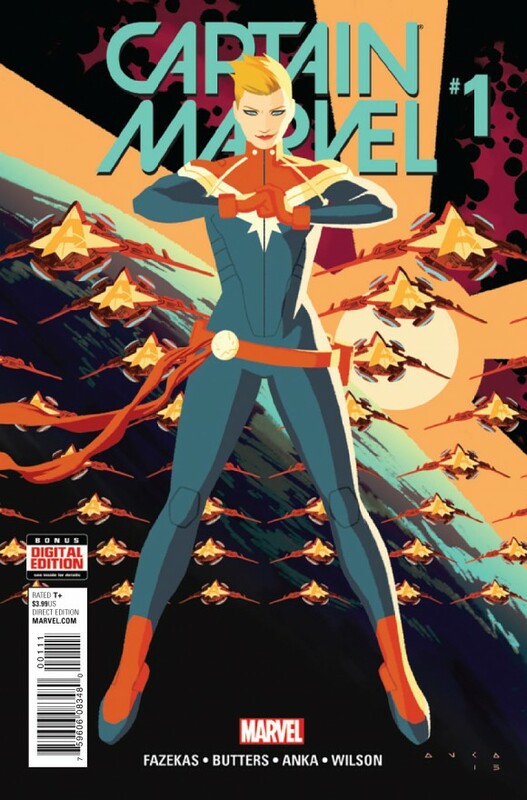 Captain Marvel #1, Marvel. A new start for Carol Danvers, written by Michele Fazekas and Tara Butters, the showrunners of the excellent ABC series Agent Carter. I’m in. Doctor Who: Prisoners of Time TPB, Titan. Okay, I know I’m being a shameless self-promoter this week, but in this case I can’t help it. 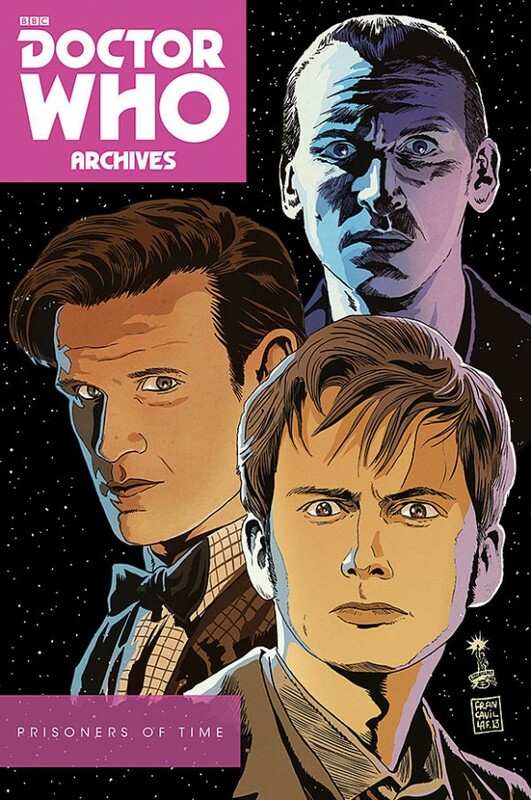 This series I did for IDW a couple years back to celebrate Doctor Who’s 50th anniversary is maybe the best book I’ve ever written. I’m really proud of it, and absolutely delighted it’s back in print. 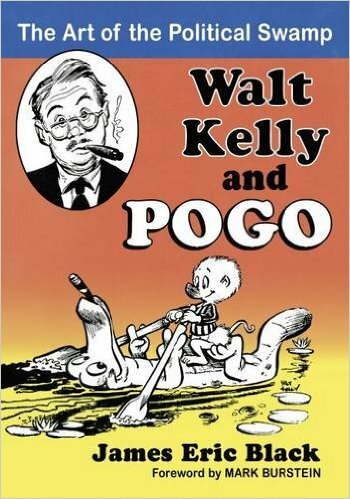 “Walt Kelly and Pogo: The Art of the Political Swamp,” by James Eric Black, McFarland & Co. To my knowledge there’s never been a biography published about the legendary cartoonist Walt Kelly. Very much looking forward to this one. 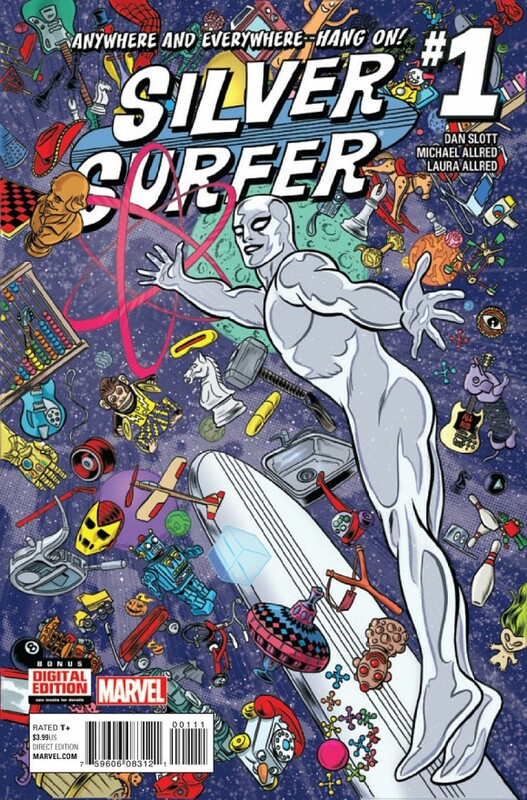 Silver Surfer #1, Marvel. 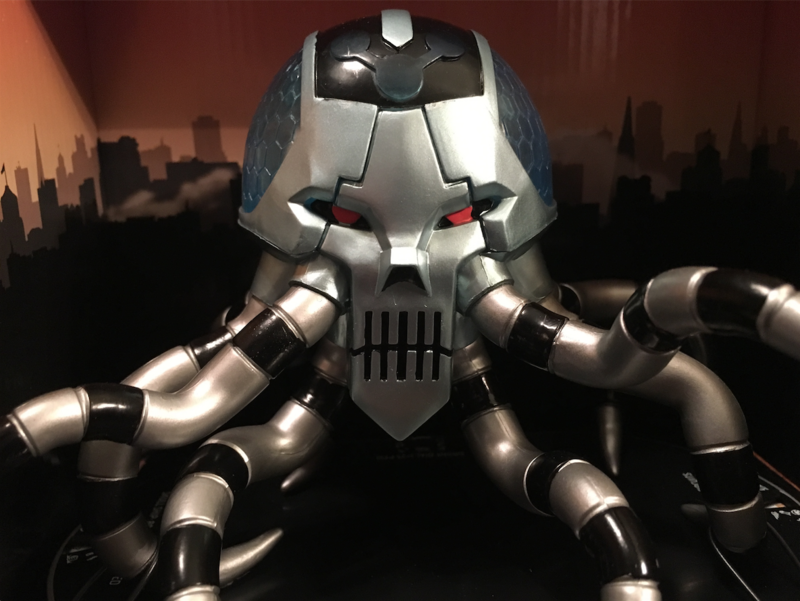 Mike Allred and Dan Slott’s remaking of Norrin Radd (and, kind of, the Marvel Universe), was my fave book from the House of Ideas last year because it actually had … ideas. 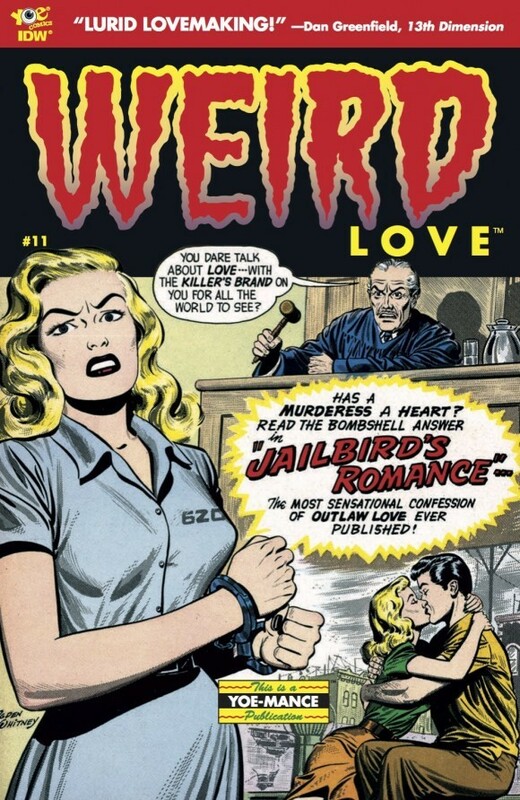 And typically groovy Allred art. Another week, another Marvel #1. But this is one I’ve really been waiting for. 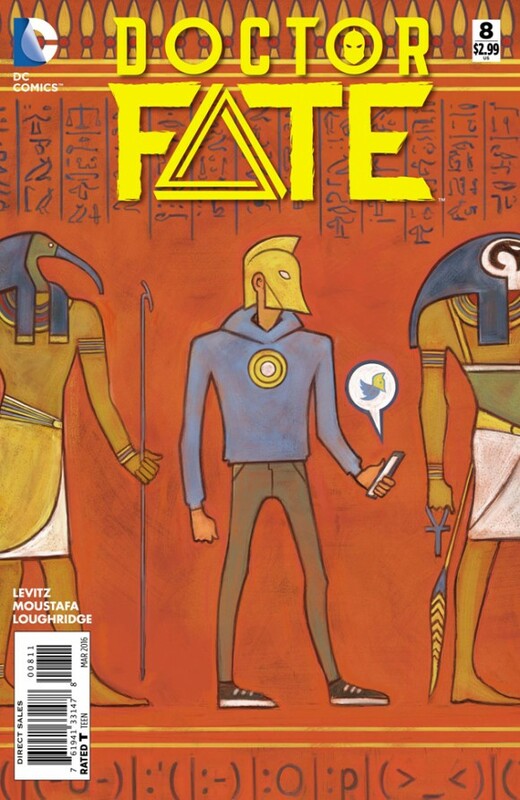 Doctor Fate #8, DC. Paul Levitz and Sonny Liew’s unassuming reinterpretation of Doctor Fate was one of the highlights of DC’s so-called DC You mini-relaunch last year. Liew takes a break on art this issue, giving way to Ibrahim Moustafa. There’s enough similarity of style for the fill-in to work and at least Liew’s still on cover duty. For more on what’s up with Liew, check out our interview on his upcoming The Art of Charlie Chan Hock Chye, from Pantheon.